Create a dedicated conference line with no effort at all. Conference call capabilities are built into your phone system with you sign up with Telzio. Create a dial-in number and host a conference call in seconds. Telzio enables you to host conference calls from any location. Easily add a conference line to your phone system and use it for regular conference calls, and start conference calls instantly on the road with our mobile app. Host and join conference calls from any location. Give callers an easy, direct way to dial into the conference call. Create, edit, and delete conference rooms anytime. Get unlimited conference calling between internal users as part of your service. Add a conference room as an extension of your business number. Create a conference room with a dedicated number for regular conference calls. It’s easy to host conference calls with Telzio for small and large groups. 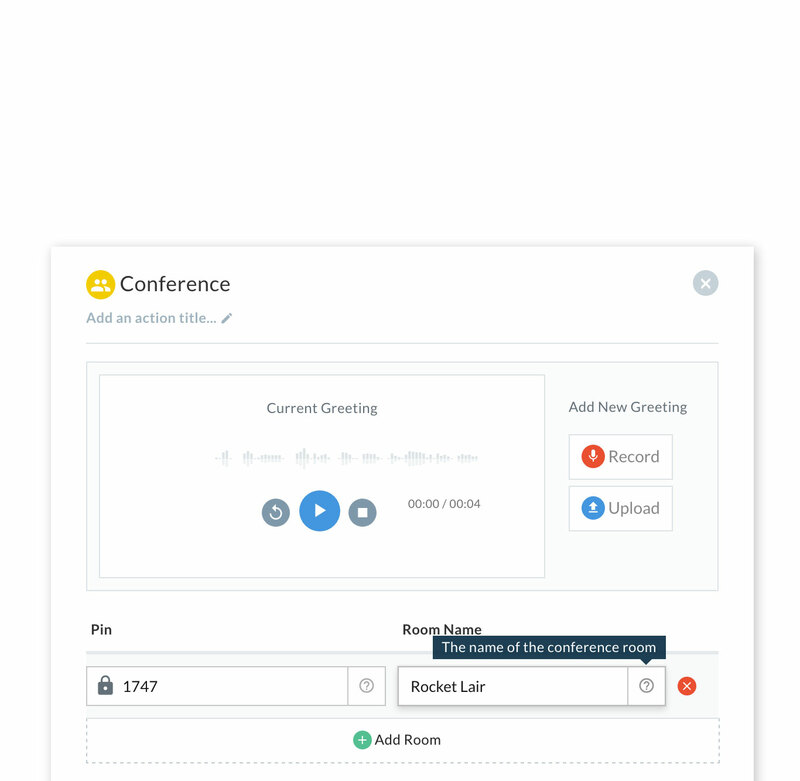 Users can instantly start a conference call from their phone with one button. You can also provide a direct dial number for multiple participants who plan to call in at a scheduled time. For example, you may need to jump on a spontaneous conference call with a colleague and a customer while you’re on the road. You can simply jump on Telzio’s mobile app, call your colleague at her extension, and hit the conference button to connect the customer. For larger, scheduled conference calls, you can easily add a conference line to your existing system where an unlimited number of callers can dial in. How many callers can be on a conference call? You can have an unlimited number of callers participating on a single conference call. How do minutes work on conference calls? Each caller that dials in counts as inbound minutes. If you have 3 callers on for 10 minutes, then you will have used a total of 30 minutes. How do callers join a conference call? Provide them with the phone number and a 4-digit PIN code to join the conference call.